NEW - Version 3 Compiler now released. Powerful - the MeccanismsTM products offer more motor controls and more inputs, so your imagination is the only limit. 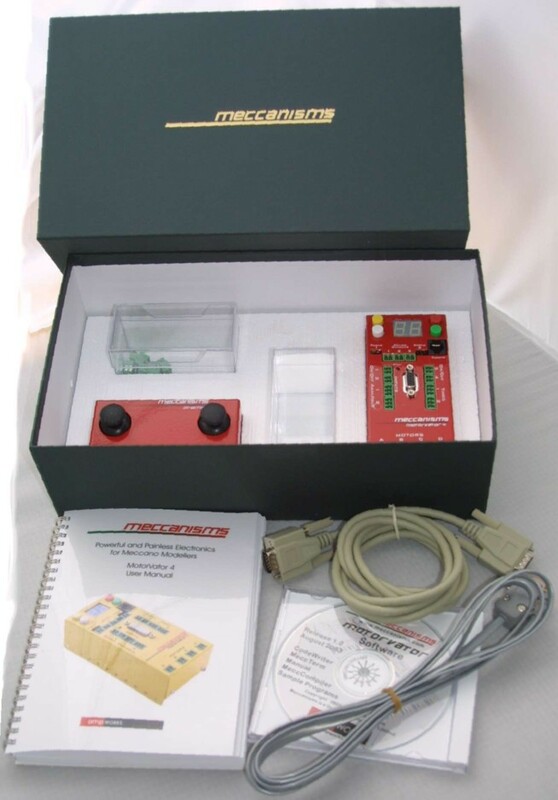 Simple - the MeccanismsTM products are complete and ready-to-run out of the box. No assembly, no soldering. You even get a range of pre-programmed modes so that you can run different programs without even loading the PC software suite. Flexible - you can choose whether to run with standard programs, make minor modifications to suit your own situation, or to create a complete symphony of your own design. Expandable - the MeccanismsTM range is just that - a range. Start small, add on sensors as you need them. Share programs with others. Connect a second controller to give you twice the number of inputs and outputs. The MeccanismsTM range grows as your interest and budget allows. 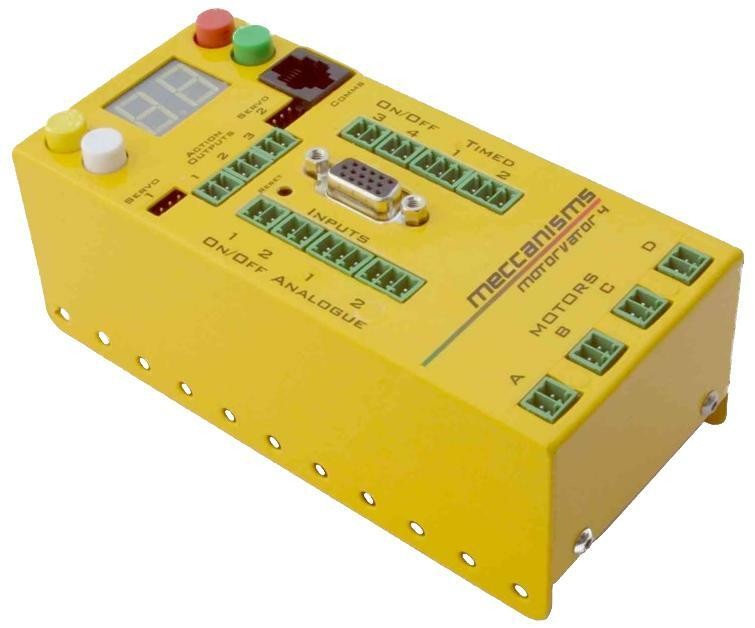 Central to the MeccanismsTM range is the MotorvatorTM series - an intelligent, programmable controller. The first Motorvator released is the MOTORVATOR 4 packaged in the Meccanisms 400 Outfit. One Motorvator-to-PC cable, to connect your MotorVator to your PC for programming. Other companion products are currently in development.